We specialize in Happy Campers! 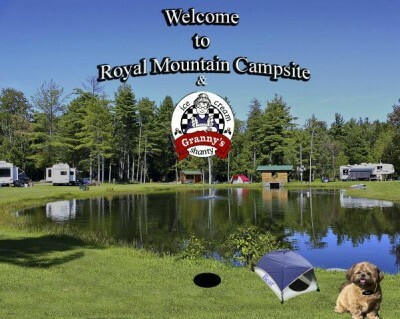 At the base of Royal Mountain, have a fabulous camping experience. We offer many amenities: including RV parts and services, a picturesque pond, and Granny’s famous Ice-Cream Shanty, just to name a few.